For 53 years, Jan Swain sold maps. World atlases, guide books, globes and plain old foldable paper maps of cities, states and countries. He ran The Map Store, a Milwaukee institution started by his father as Milwaukee Map Service in 1937. In April, the 79-year-old closed the store for good. It was something Swain said he saw coming for two decades, but it was hastened by the release of the iPhone in 2007. Map websites were already common then. You could load tiny maps on some cell phones, and GPS units were popping up in cars. But Apple's (AAPL) larger screen and built-in Google Maps app instantly changed how people navigated. "You can carry the entire world with you if you want to with an iPhone," said Swain. "There's no need for these pieces of paper that people used to use. The only ones who ever buy those are age 40 and over." Over its ten year lifespan, the iPhone has altered many industries, for better and worse. A powerful computer you could slip into your back pocket, the iPhone chipped away at paper maps, point-and-shoot cameras, voice recorders, watches, hand-held game consoles and MP3 players like Apple's own iPod line. 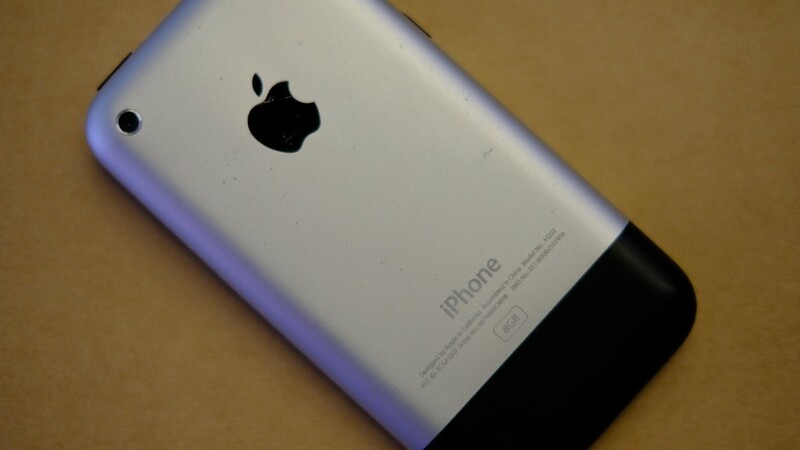 Looking back, the iPhone can seem like a revolutionary product that is entirely the result of Steve Jobs' genius. But the device was a well-timed, smartly executed culmination of multiple trends already happening in the industry. "The thing that Apple did super well, and I would argue better than anyone else, is they figured out the user interface for this small form factor," said Gartner analyst Tuong Nguyen. Existing phones were already adding tiny, terrible cameras. The first iPhone shot grainy still photos with a 2-megapixel camera. People started switching from point-and-shoot cameras to smartphones even though the quality wasn't as good (yet). The idea that the best camera was the one already with you, popularized by Seattle photographer Chase Jarvis, meant smartphone owners were taking tons of photos with the devices. Apps like Hipstamatic and Instagram threw on "vintage" looking filters to compensate for the low resolution. "Images aren't about megapixels and size and all those things camera companies want you to believe," said Jarvis, who is the founder and CEO of CreativeLive, which offers online photography classes. "They are about stories and moments and whether you capture them or you don't." Last year, 24.2 million cameras were sold around the world, according to the Camera & Imaging Products Association. That's a devastating dive from 100.4 million the year the iPhone launched. Cameras with interchangeable lenses are still popular with professionals and enthusiasts, but pocket cameras have been decimated. And then there are the things Apple killed just with an app. Its voice recorder, while far from perfect, was convenient enough to replace tape and digital voice recorders for many. Once the App Store launched in 2008, its slew of games made pocket gaming gadgets less popular (though they're still hanging on). Just by putting the time on its home screen, Apple convinced some people to leave their wristwatches behind. The market stayed steady, however -- more than 1.2 billion watches are still sold every year. Apple hopes its own wrist computer, the Apple Watch, will peel off customers from companies like Rolex, Fossil and Omega. The company is not done. Now the iPhone is trying to replace your wallet. Apple Pay, launched in 2015, lets people pay for goods and services with their phone instead of a physical credit card or cash. Adoption is trickier, and requires major technological updates across the entire payments landscape. Some industries have adapted. Sanborn, once the largest paper map maker in the U.S., has switched its focus to LiDAR and digital mapping. But small companies like Swain's have had to shut down. "That's the way life goes. There's an awful lot of industries that have come and gone," said Swain. "People who made buggies and horse whips went out of business when the car came along."